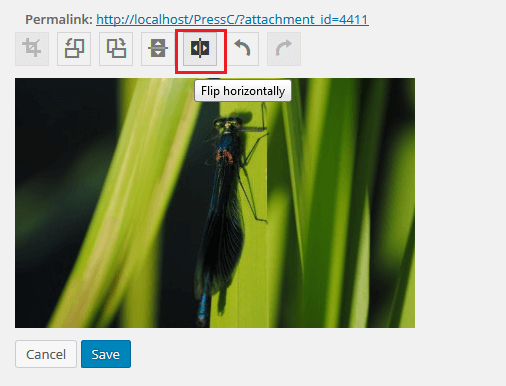 WordPress offers the ability to do basic image editing on the dashboard itself. You need not go to any image editing software for doing basic edits like crop, resize/scale, flip and rotate. 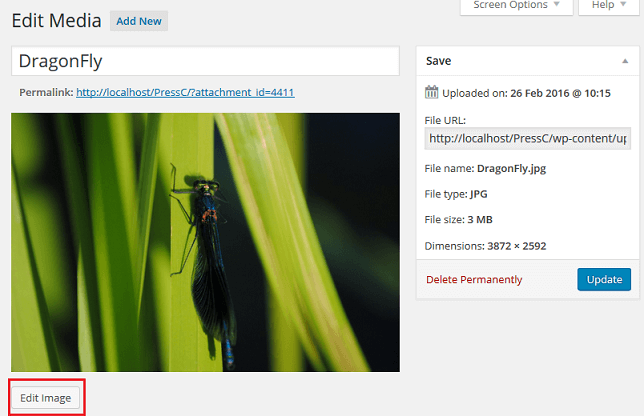 This adds to the user's convenience and one can edit images on the fly, just before adding to a post/page. So, how do you edit images. 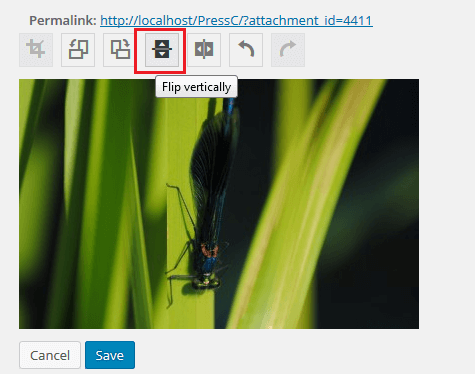 From your post editor, click on Add Media to insert an image. 2. Upload an image file. 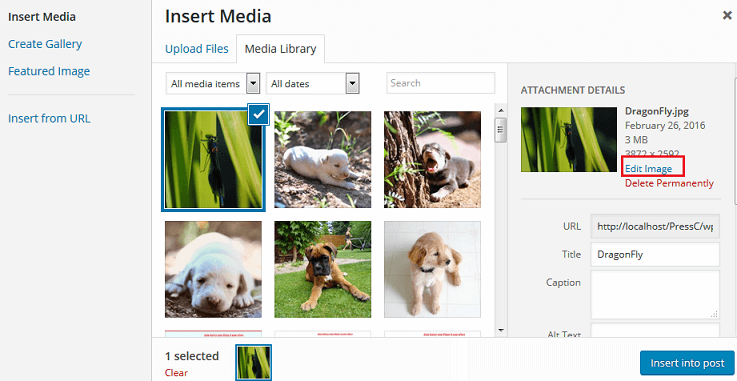 In the Insert Media screen, you will notice an Edit Image link under Attachment Details. Click on this to edit the image uploaded. 2. Alternately, if the image is already uploaded, go to Media Library, click on Edit below the chosen image file. Now you get the Edit Media screen. Click on the Edit Image button below the image. Cropping an image to a required size is a basic need before publishing any image. Click on the image and drag the mouse to select an area. 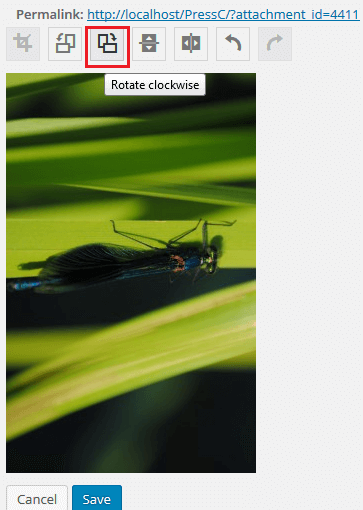 Once a selection is made, the Crop option above the image is enabled. Click on it to crop the image. The size of the selection in pixels is displayed in the Image Crop metabox on the right. In the Image Crop metabox, enter the Aspect ratio, say 16 : 10. Click on the image and drag the mouse while holding on to the Shift key. The selection is made in the particular aspect ratio. Images can be horizontally or vertically flipped by clicking on the options above the image. A horizontal flip causes the image to flip right/left (mirror image). A vertical flip causes the image to flip upside down. 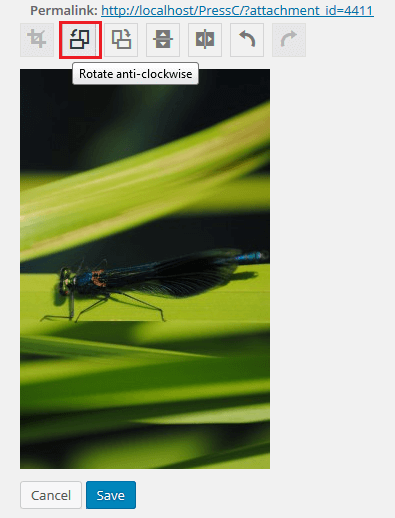 You can also rotate the images 90 degrees either in the clockwise direction or in the anti-clockwise direction, using the options above the image. 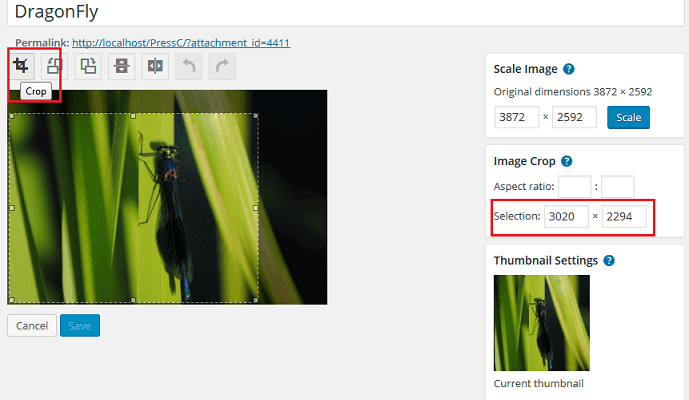 To resize an image, enter the required dimensions (width x height in pixels) in the Scale Image metabox. You can enter either width or height to maintain the aspect ratio. If you enter one dimension, the other dimension is automatically determined based on the aspect ratio. Click on Scale to resize to the new dimensions. Finally, click on Update to update the media image of all the changes. How to manually Install or Update a WordPress theme via FTP? What is a WordPress theme and how can I create my website with it ? What is a Favicon or Site Icon and how to use it ?